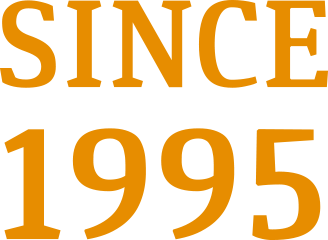 Celebrating our fifteenth year manufacturing and distributing cardboard boxes, corrugated mailers, cut out wraps, and all varieties of specialty packaging and shipping supplies. ABT was founded in 2004 with a vision to service the part of the market that was too small to service cost effectively via traditional box manufacturing. Wolfpack Packaging Inc. (Then called Packaging Logistics) saw a gap in the corrugated box market and saw an opportunity to provide our clients with real time quotes on the quantities they wanted, with boxes sized to their exact size requirements. This not only eliminates waiting for pricing, but also saves money on packing supplies and boxes that are too big for the job. While many of our competitors refer to small businesses condescendingly as mom & pop operations, we recognize the value of your business and the importance of being able to offer you the exact quantities, sizes and styles of cartons you require. Our unique focus is on manufacturing. We are the only manufacturer in Canada focused exclusively on exact size and quantity corrugated packaging for instant turnaround (eCommerce focused). Instant quote, purchase and have delivery (same or next day in GTA). We are competitive on ANY quantity of cartons, from 1 to millions. The efficiency of eCommerce allows us to provide micro-lots in custom sized packaging without having to speak with anyone, if that’s what you desire. If you would like to speak with a real person, we are always available to answer your questions and walk you through the process. We have been involved in the box industry since 1995, manufacturing, buying and reselling all types of corrugated containers. With our CNC box-making equipment we are now able to supply instant turnaround “micro-lots”, at a much lower price than our custom box competitors. We are passionate about this technology and have been promoting lean box supply in North America for several years.